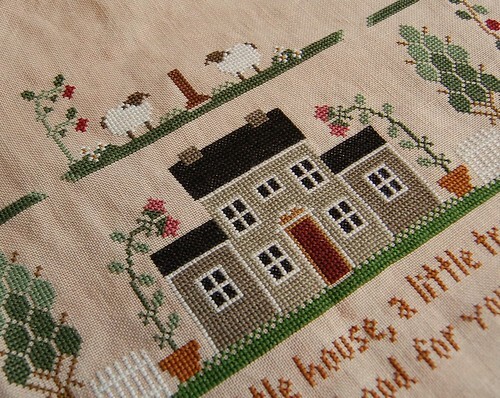 Nicole, your stitches are neat and beautiful! I am like you erica, I work with an enlarged copy, the largest I can get, and I mark off all the stitiching as I do it , with a highlightner. Not sure if this will help you. I started in the left hand corner, but on small pieces I always start from the centre. I too love the sheep, but the squirell is my favorite. As we don't have them here in Aus. Looks great Nicole! 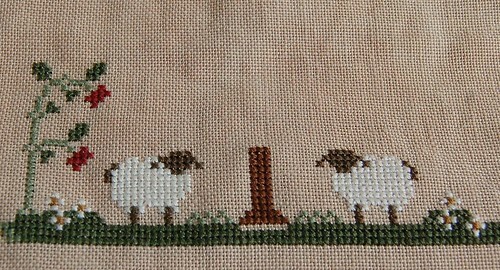 The sheep are so cute!